JAKARTA -- At least 68 people have been killed and nearly 7,000 forced to take refuge in emergency shelters after floods, landslides and a tornado battered the Indonesian island of Sulawesi in the past week, authorities said on Sunday. 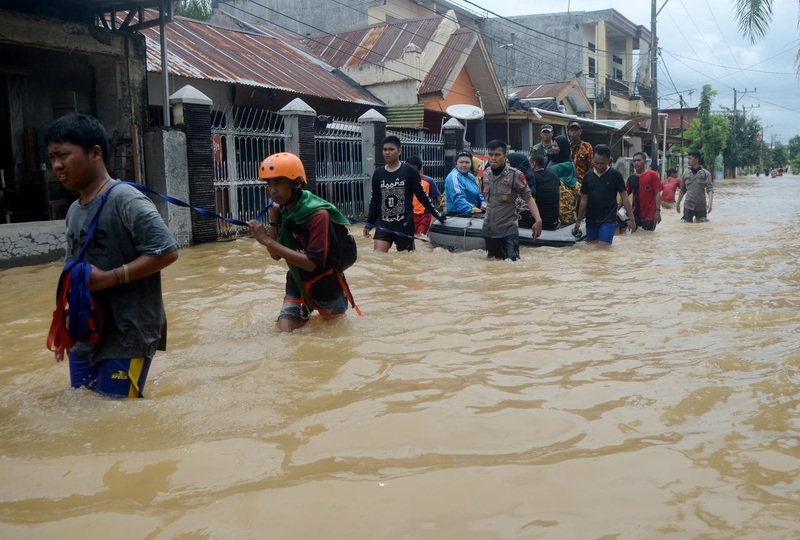 Rescue teams were still looking for seven missing people, while 47 had been injured during the devastation that saw heavy rains cause a dam to overflow, said Sutopo Purwo Nugroho, a spokesman for Indonesia’s disaster mitigation agency. More than 5,000 homes had been submerged with scores of bridges, schools and places of worship damaged, as well as thousands of acres of rice paddies destroyed, he said in a statement. Some displaced people had started to return to their homes as flood waters receded, but heavy equipment was needed to clear a thick layer of mud that had enveloped roads and houses, he said. Others had chosen to remain in camps after being traumatized, Nugroho said, adding that there was still an urgent need for food, blankets and medical services. The devastation that has struck Southern Sulawesi in the past week had also extended to Makassar, the capital of the province.